Here is my first completed track! 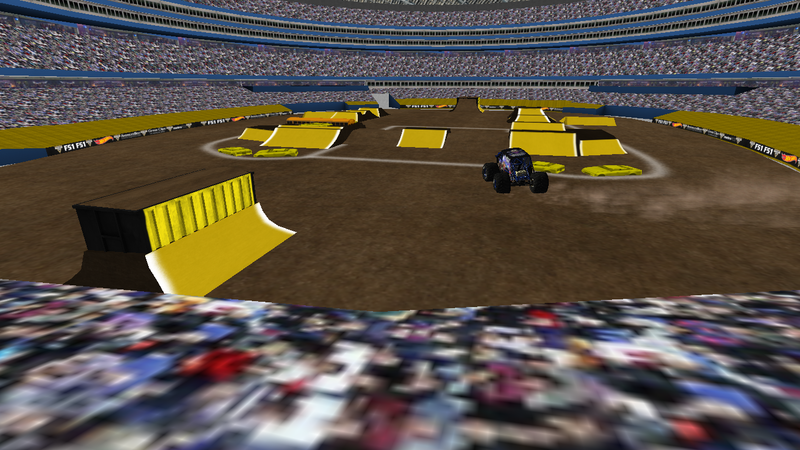 Since Toronto didn't have a show this year due to renovations of the Rogers Centre, I figured I'd make a custom track. Using the standard 2019 track layout as a base I made some changes including an extra backflip ramp, a triple, and a few extra things. Be sure to comment and let me know what you think! RockCrwlr - Crush car models. Plus any others I forgot to mention in here!